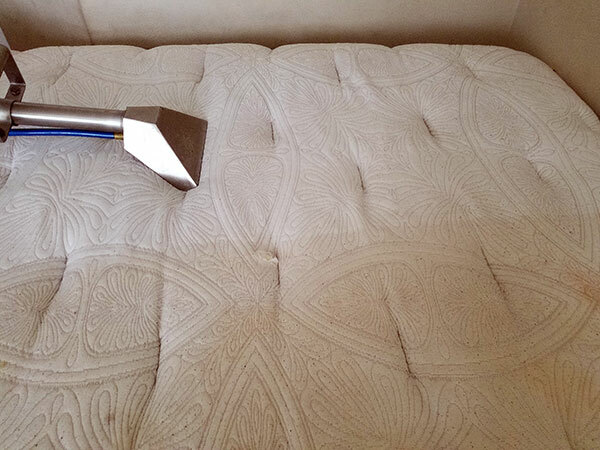 Have you ever had your mattress professionally cleaned? Think about it for a moment. How many hours a day do you spend asleep on your mattress? Six, seven, maybe eight hours? We spend up to a 3rd of our lives sleeping on a mattress that we rarely think about. Even with mattress protectors and changing the sheets regularly you still have soil build up on your mattress. The picture above is from a recent cleaning where the customer thought their mattress was relatively clean. After one test swipe with the cleaning head it was easy to tell the mattress was not as clean as she thought. Hotter climates like ours in Tampa FL accelerate the soil build up in your home. If your mattress is 2 years old it already has some significant soiling. At Chem-Dry of Tampa we offer a mattress cleaning service that not only removes soil it also removes 98% of common household allergens. Imagine waking up in the morning without your stuffy nose from sleeping on a mattress that has pollen or pet dander on it. Regular cleaning and sanitizing of your mattress can help reduce allergy symptoms and help you breath easier. For mattress cleaning in Tampa FL call Chem-Dry of Tampa FL.